The Land & Water Conservation Fund Expired: Time to Speak Out! Congress has allowed the Land and Water Conservation Fund to expire, but federal leaders continue to work on a reauthorization bill. Please take action to save this critical conservation program before it's too late! At the end of September, Congress allowed the Land and Water Conservation Fund (LWCF) to expire, despite its stature as one of our country’s most important conservation programs. For over 50 years, the fund has protected outstanding public lands and waters across our nation, while also enhancing the public's ability to enjoy these special places. By failing to reauthorize the LWCF by the September 30th deadline, Congress has placed the future of this important program at risk. For those of us who love the coast, the expiration of the Land and Water Conservation Fund represents an enormous loss. 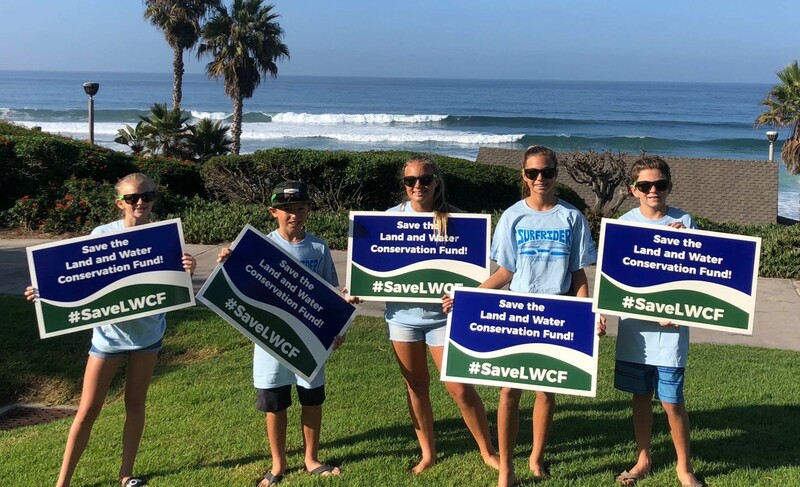 As we've written about in previous posts, the LWCF has protected countless coastal places, including San Onofre State Beach in California, Padre Island National Seashore in Texas and Lake Worth Pier in Florida. Such efforts not only benefit the millions of Americans that visit the shore, they also support our nation's ocean recreation and tourism economy valued at over $114 billion per year. Moreover, the benefits to recreational users do not end at the coast. An estimated 99% of U.S. counties from all 50 states have received funds from the Land and Water Conservation Fund, meaning that wherever you live in the U.S. there are local opportunities for outdoor recreation. From the acquisition of new public lands and waters to the maintenance of trails and visitor amenities, the LWCF is truly a boon for all of us who love the outdoors. To learn more about how the program benefits the recreation community, check out this cool storymap from our friends at the Outdoor Alliance. While it's disappointing that Congress has failed to reauthorize such a popular program with bipartisan support, we remain hopeful about the prospects for permanent solution before the end of the year. Recently, a solid LWCF reauthorization bill cleared a key House committee that had previously been a major sticking point, and a long list of cosponsors (you can find the current list for the Senate bill here) support reauthorization in both the House and Senate. We think it’s possible that LWCF could be reauthorized among a package of other recreation and outdoor bills before the end of the year. To make sure that happens, though, it’s important for you to write to your lawmakers and tell them that LWCF matters to you. We will keep you in the loop as your voice is needed and as reauthorization progresses.